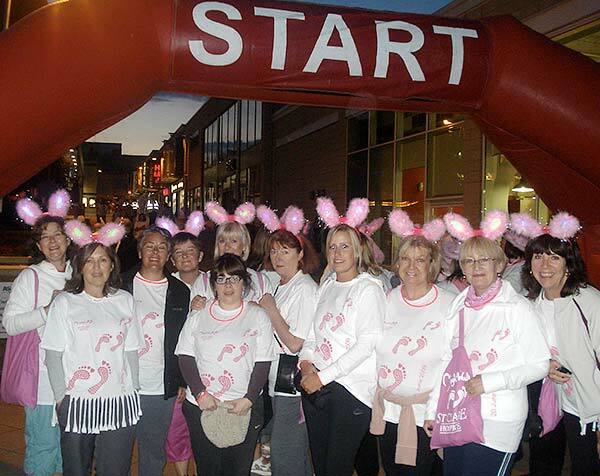 The ‘Theydon Girls’ from Theydon Bois did the St Clare Hospice Midnight Walk on Saturday 20th June. The gruelling 10k event was achieved by the Girls in 1hr and 59mins, an improvement on last year’s time of 2hrs and 20mins. It was an amazing evening attended by around 1500 people. The total figure raised for St. Clare's was in excess of £150,000, a massive achievement and one that exceeded last year’s figure of around £106,000. The Theydon Girls have exceeded their own target of £2000 and would like to take this opportunity to thank everyone who supported and sponsored them for this amazing charity serving the people of West Essex, including Theydon Bois. 22nd June 2009 Theydon Sheep & Goats on Radio 4: The Sheep and Goat farm owned by Carmine Carnevale and managed by Salvatore featured on last Sundays Food program on Radio 4. The sheep and goats milk from this Theydon Bois farm goes to make ricotta cheese in Carmine's factory in Kings Cross and this is used by some of the finest restaurants. Food critics on the program thought the 'Theydon Bois Ricotta' superior to the italian version! If you missed the program You can still catch it on BBC I-Player here. Parish Council Chairman, Sue Jones opened the debate on the possible purchase of the Youth Club Site off Loughton Lane from Essex County Council for £300,000 with a 'PowerPoint' presentation last night (available here for those with PowerPoint or PP Viewer). This showed the merits of purchasing the site as a resource for the community, preventing proposed development, giving a home for the Theydon Youth Club and ongoing security of tenure for the Scout Hut. The site would be a 'Community Centre' to be used as fully as possible, primarily by Theydon Bois organisations and residents. It would though require a Public Works Loan that would increase the Parish Precept proportion of the rates, because of this the Parish Council is seeking public opinion before preceding further. Although it was hoped that attendance at the well advertised meeting would have been better Sue and the other Parish Councillors present answered quite a number of questions about the implications of the proposed purchase from the audience. The extra cost on the rates to each household in the village would be a little over £11 per annum (24p a week), but this would not increase in future as the interest would be fixed for the proposed 25 year term and interest rates on Public Works Loans are at present at an all time low. The audience were generally in support of the proposal, no objections were raised, the questions merely seeking clarification on the best way forward and how and for what the site would be used in the future. The consultation will remain open until 12.00 noon Tuesday 30th June and villagers are requested to put their comments in writing to the Parish Council at the usual address by that date. For further information about the site purchase see pages 4 & 5 of the June Village News and also the minutes of Parish Council Business Meetings of 5th & 14th of May. Available here. 19th June 2009 Parish Council General Business Minutes: The minutes for the 5th & 14th of May meetings are available here. There is much useful background information regarding attempts to purchase the Youth Centre Site relevant to the Consultation Meeting tonight (Friday 19th June). The Theydon Bois Branch of the Women’s institute held a 90th Anniversary celebration on Wednesday 17th June in the Village Hall. There was an exhibition of the group's past events with photographs together and a copy of the first minutes from 1919, these taken before the W.I. was officially formed. Guests attending included Officials from the Essex Federation of W.I.’s, Ann Grigg Vice Chairman of EFDC, the Chairman and Secretary of the Village Association, Councillor Sue Jones (Chairman of the Parish Council) and Parish Councillor Jacq Dodman, , Presidents of local W.I.’s from Buckhurst Hill, Chingford, Loughton and Epping. In total the well over a hundred members present, including past presidents and many members now also in their 90th year, heard Theydon W.I. President Kay Rush give a short welcome speech. Julie Alen (Chairman of the County W.I.) replied noting the changes over the past 90 years with both the Theydon Group and Institute itself moving from the more traditional status to a more modern outlook. Left to right - Judith Finn (WI Federation), Sue Jones (Parish Council Chairman), Kay Rush (Theydon WI President), Barbara Ball (WI Federation), Anne Grigg, Doreen Snell (Theydon WI Secretary), Julie Alen (Chairman Essex WI Federation), Allen Cox, Cllr. Jacq. Dodman, Mary Leng. The crowed village hall then sang along with songs reminiscent of the last 90 years performed by Martyn Harrison. 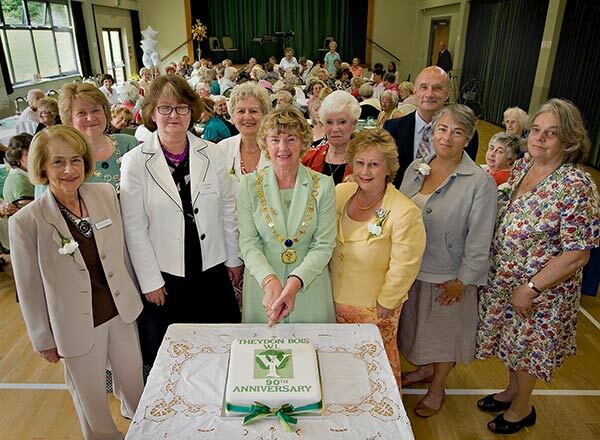 The 90th Anniversary cake was cut by Ann Grigg and while sandwiches, the cake, and drinks were enjoyed by all the members they swapped memories and anecdotes about their time in the WI. Every person present received a pen with a T.B.W.I. logo and also a white carnation that can be worn either on a dress or suit to mark a very memorable occasion. Epping Forest Guardian also covers this story here. The delightful sound, on a fine summer evening, of a violin and a piano in perfect harmony resounded throughout the South Room of the Copped Hall Mansion on Saturday (13th June) when Miriam Kramer and David Silkoff returned to give another exhilarating and highly professional recital. Both are musicians of professional standing and concert soloists in their own right, which was reflected in the quality of their music. Their programme included works by Bartok, Mendelssohn, Bloch and Franck and, especially, a much-appreciated performance of Beethoven’s Spring Sonata. 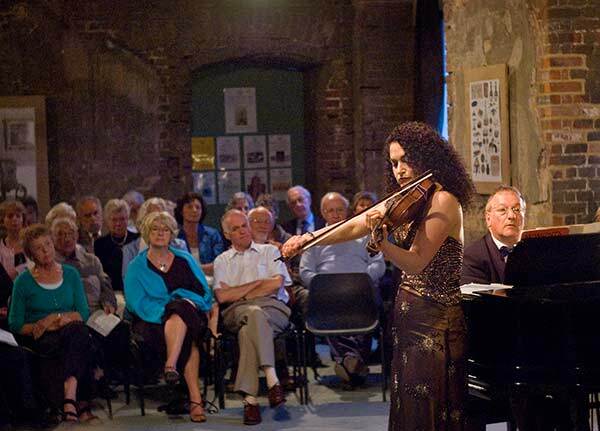 But the most popular item, which demanded an encore, was the Gypsy Music portrayed with fire and total expression by Miriam equally matched by the dynamic and expert playing of David. Miriam has given recitals both in America and the UK including at our village hall for the Theydon Bois Music Society and many villagers were to be seen in the audience at this concert. Miriam now has an established discography, much applauded by critics. David has a similar professional background, is highly sought after as an accompanist and will shortly be giving a solo recital in Ilford to celebrate his 60th birthday. 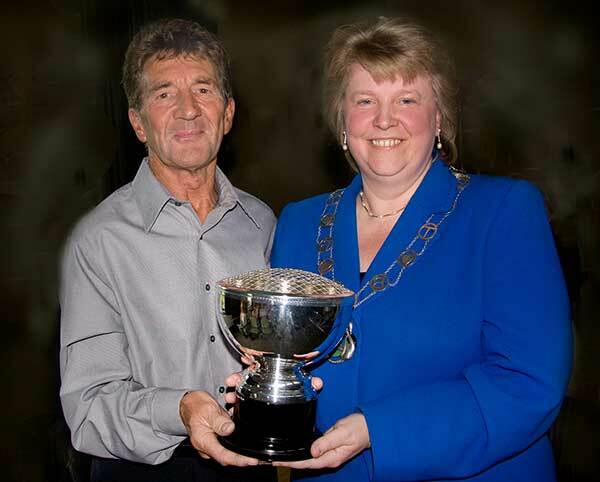 Sue Jones presented the Villager of the Year Award to Mr Norman Riley at the Annual Meeting of the Parish Council to Mr Norman Riley. Sue said “ Presenting this Award to Norman gives me great pleasure. Norman has over many years done a tremendous amount of work to ensure the village is a more attractive place to live. He is held in great esteem by other residents and his craftsmanship is very much admired. We appreciate all the work he does in the village, committing a great deal of time not only to working on several projects in the village but also to help other residents.” As reported here in Village News last December, Norman has spent his working life in metal fabrication and hand-crafted the planters that you can see in the Forest Drive shopping area. In addition to the planters. Norman also made the metal benches which grace the village green. After six years of negotiating, The Parish Council now have the opportunity to purchase not only the Youth Club building off Loughton Lane, but also the freehold of the entire site including the land the Scout Hut is built on. The Scouts only have eleven years to run on their lease. The advantage of purchasing the site is that it will give the village a facility that could be used for a variety of activities for many different sections of our community. In order to buy the site we will need to apply for a Public Works Loan which will be paid for through the rates. Our current estimation is that it will cost each household in the order of an additional 25p per week. In addition, we will need to raise money to fund the operating costs and the refurbishment of the building. The Parish Council will hold a Public Meeting at 8.00pm on Friday 19th June dedicated entirely to this venture to allow villagers to express an opinion. Full details here. 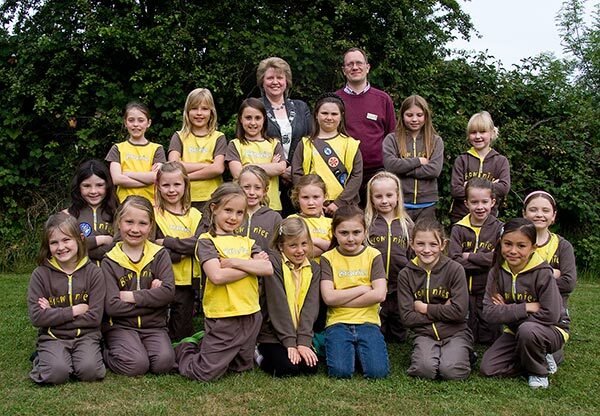 It was party time for the Theydon Bois Brownies last Monday evening when they celebrated the 40th anniversary of the pack in St. Mary's Church Hall. Guests and included Parish and District Councillors, Vicar Colin Travers and many helpers and parents. There were demonstrations of pack activities for guests, games and then tea and cakes were enjoyed by all. 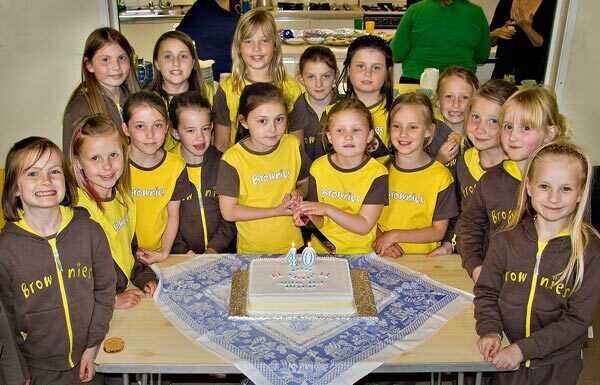 The youngest and oldest Brownies in the pack help cut the 40th Birthday cake. 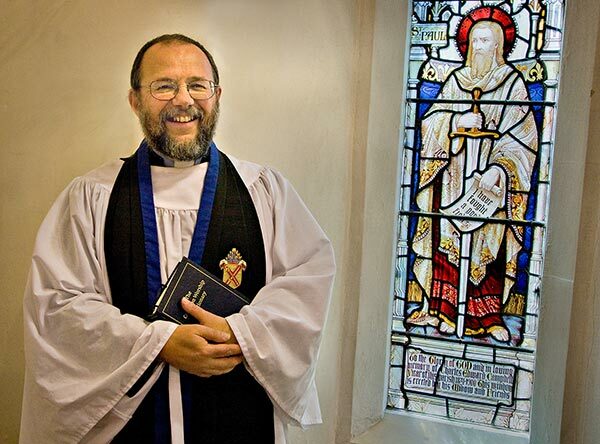 It is with great sadness and regret that St Mary’s Church family learnt of the impending retirement of their Vicar, Colin Travers, who has led the parish for 7 years. After 37 years as a priest, he is ready for a well-earned rest. His ministry has seen growth and development at St Mary’s, and his unfailing enthusiasm, energy and vitality, combined with a remarkable gift for communication and an ability to remember people’s names and families has helped to bond the church members into a real family. A warm, caring man, he has always found time to offer support when needed, and his prayer ministry has been greatly appreciated by many. His deep spirituality has led him to introduce opportunities for quiet and meditation, and to develop the ministry of healing and laying on of hands. Colin ‘s lively sense of humour and excellent organisational skills have seen many occasions of celebration and fun at St Mary’s, from a memorable day at Great Gregories Farm, with the sharing of communion, lunch and entertainment, to shared lunches in the Hall and birthday toasts with bubbly and cake. He has overseen the completion and commission of the new Parish Centre, the re-cladding of the copper church spire, the re-tiling of the church roof, and the current re-furbishing of the church interior. 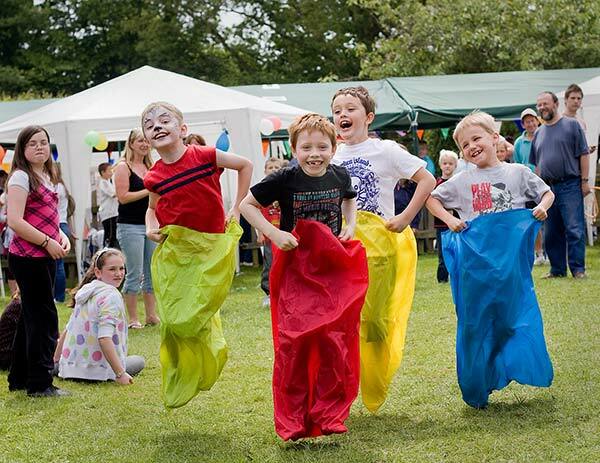 A familiar figure at village events, with his boundless enthusiasm and sense of fun, he has reached out to all, and he will be greatly missed in the Theydon community. He has encouraged church members to develop their gifts and is leaving a strong, supportive and loving congregation who will surely continue to grow in the future, with the arrival of a new priest to build on his achievements in his ministry. He has been quietly supported by his wife Joy throughout his career. We are all very sorry to see them leave, and we wish them a very happy retirement in Ely. Colin’s farewell service is a Family Communion at St Mary’s at 10 am on Sunday, 5th July, to which all are welcome. 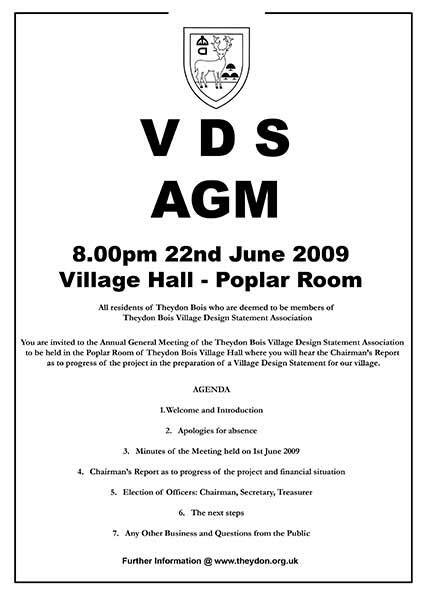 10th June 2009 Village Design Statement Association AGM: The Village Design Statement team have been hard at work on producing a Design Statement for our village over the last year. This will finally be a printed document available to villagers and will also become part of EFDC's Local Development Framework, but this is an opportunity to learn about progress so far. More on the VDS here. 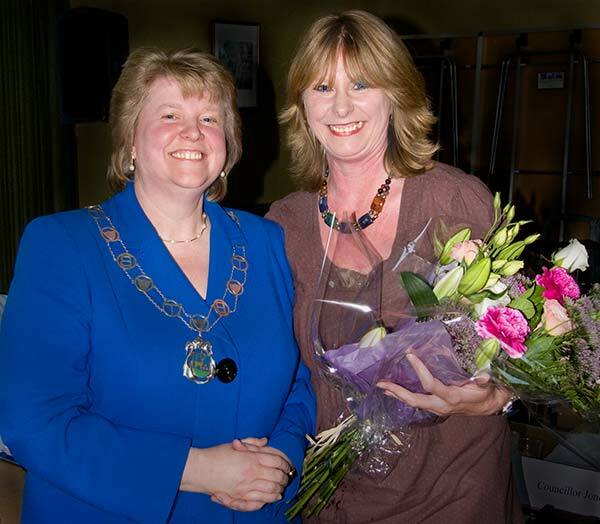 Madeleine McCarthy who has been our Parish Clerk for the last 7 years has now stood down. At the Parish Council Meeting last Thursday (28th May) Chairman Sue Jones thanked Madeleine for all her service over the past years. She has been a great benefit to both Councillors and villagers. Both the Village News and Village Web Site Editors would particularly like to add their thanks to Madeleine as without her help coordinating information and passing it on we would not have been able to keep you up to date with news about our village. With Madeleine stepping down there will be some changes in the Parish Office. 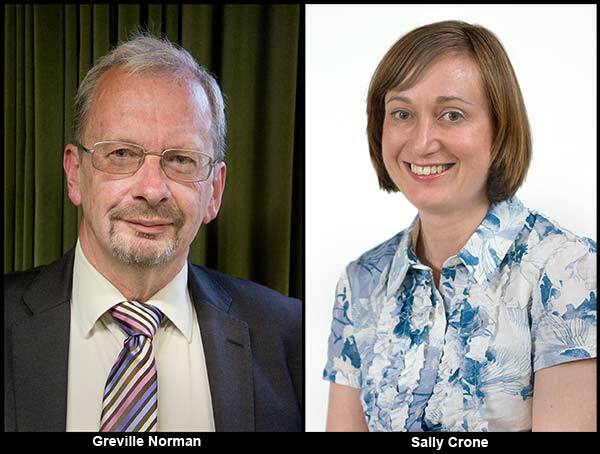 Madeleine's former assistant, Sally Crone will now become Acting Parish Clerk and Greville Norman (who lives in the village) will take on the new Responsible Financial Officer role. Sally will be in the Parish Office on Tuesday, Thursday and Friday and Greville will man it on Monday and Wednesday. A further change announced at the Parish Council AGM as part of the 'Election of PC Officers' is that Cllr. John Philip now replaces Cllr. Jacq. Dodman as Vice Chairman of the Parish Council. Sue Jones was re-elected as Chairman and most other posts remain unchanged. 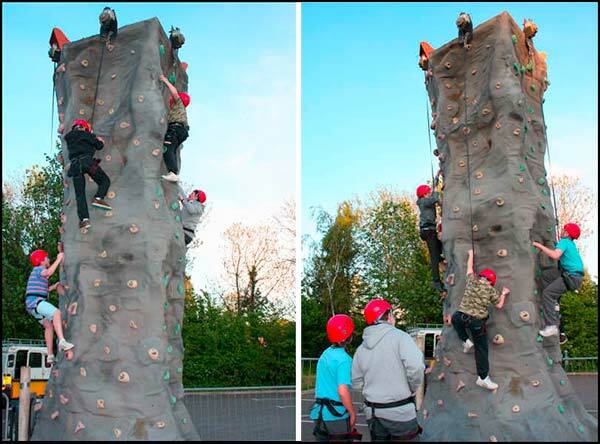 In April 'Theydon Youth' had a Climbing Wall brought down by the Essex Association of Boys Clubs. Members and volunteers were able to scale the 4mtr high wall and then abseil down. It was a very popular activity with around thirty children taking part. The Village Association kindly lent us their Car Park as a level ground was needed. The week before this event we took some of the members to Benfleet Skating Park where they were able to test their skateboarding and bike skills. The club itself is thriving with around 50 members which continues to grow each week. We continue to open every Tuesday from 7pm till 9pm. Future events are planned. If you are interested in being a volunteer helper, have a child that would like to join or would just like more information please e-mail us at theydonyouth@hotmail.com . 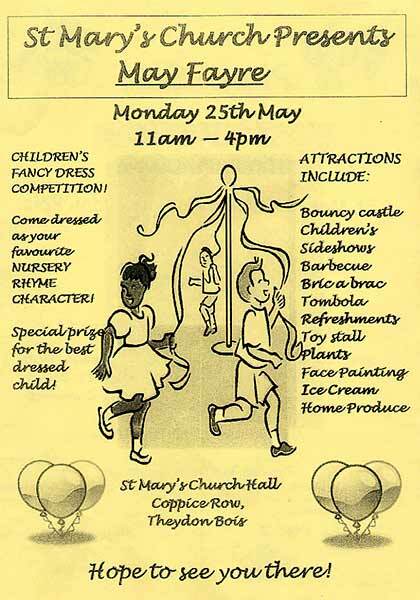 Well the rain held off and the weather was good making yesterday's St. Mary's May Fayre a great success. People flocked to the Plant Sale as soon as it opened and you were lucky to find anything left if you came later in the day. All the other stalls were doing good business so it is hoped that a health amount has been raised towards church funds. 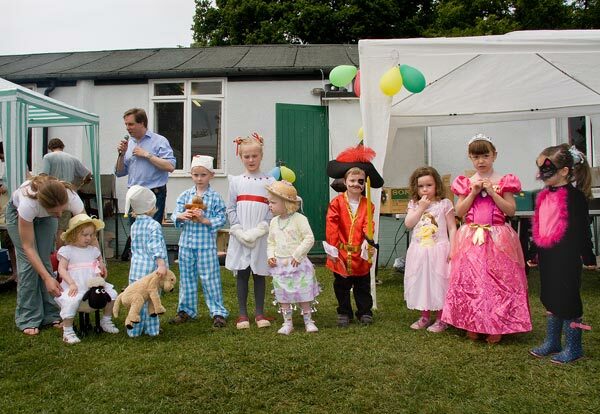 The Nursery Rhyme Competition had some great characters and costumes and this was followed by Sack Races and and other games for the children and then a display of dancing. 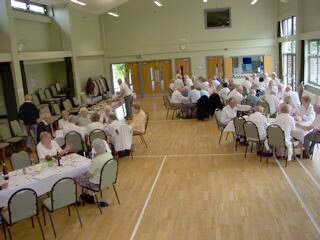 On May 14th the Short Mat Bowls Club held their Annual Presentation Lunch at which 55 members and guests sat down to a Buffet Lunch. The lady members provided the excellent meal under the guidance of Joy Wainwright and Val Matthews. The competitions had been held during the period from September to April and the Winners were presented with their awards by the Club Chairman Joy Wainwright assisted by the Competitions Secretary. John Langford. A new Trophy the Ted Norris Cup was awarded to Sue Barrington for winning the session of Target Bowls. Local garden designer Julie Phipps won a Silver-Gilt Medal for her courtyard garden ‘The Cottage’ at this year’s Chelsea Flower Show. 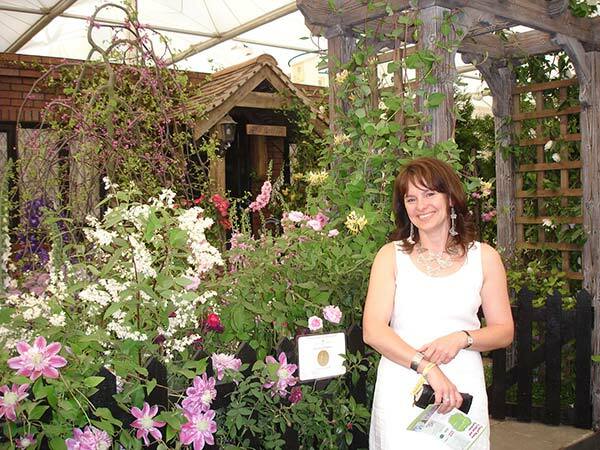 The garden was a reconstruction of her original garden design which can be found at Capel Manor College in Enfield, where Julie trained and is now a Senior Gardener looking after the National Gardening Centre. Julie was delighted with her medal win, but stated that without doubt that the highlight of the show was meeting the Queen at Monday’s Gala Preview Evening. Other members of the Royal Family also visited the garden including the Earl and Countess of Wessex who made an unscheduled stop. 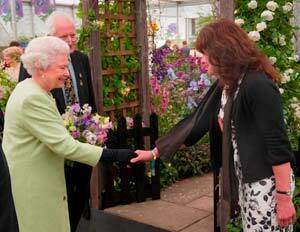 The garden proved to be very popular with the public and was the culmination of many months of planning. Julie said ‘this was a team effort and could not be achieved without the support of the Capel Manor Staff and in particular Nicholas Evans, Director of Estates at Capel Manor College’. A PLEA FROM OUR STREET TREES! Our wonderful street trees are one of the best features of the village. We have experienced a very dry spring and as a result the young trees are suffering. If you have a young street tree in the verge outside your property then please help the trees and our tree wardens by giving them a regular bucket of water. It is better to water through the watering tubes at the base of the tree if possible. Sarah from Theydon, where her parents still live,first learnt to ski in Obergurgl ten years ago, and qualified as a Ski Club Rep in 2006. After leading and Repping in the 2006/07 season, she started looking for something a bit different. "I first got into it because I needed a second discipline. I soon discovered how much more physically challenging it is than alpine skiing, I love to 'feel the burn'!. You also can't beat powder riding on teles - it's an amazing floaty feeling." She was eventually asked to coach the British Military at their Championships in Rauris in January, which turned into a chance to trial for the GB team in Kaprun. "I was the fore-runner for the final races and I obviously did ok because they asked me to attend the trials in May." 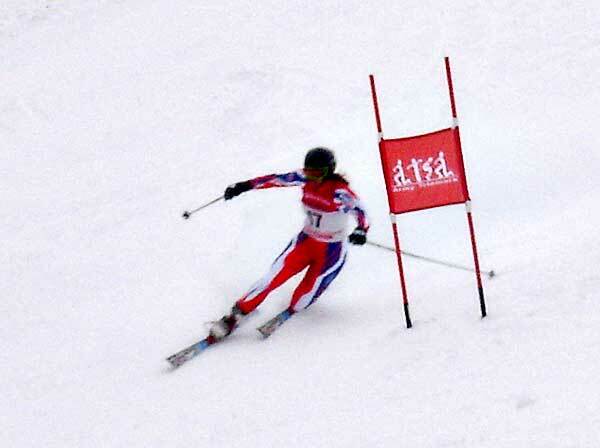 For people not familar with the sport Telemark skiing is a term used for skiing using the Telemark turn. It is also known as "free heel skiing." Unlike alpine skiing equipment, the skis used for telemarking have a binding that only connects the boot to the ski at the toes, just as in cross-country skiing. Telemark turns are led with the heel flat on the outside ski (the downhill ski at the end of the turn), while the inside (uphill) ski is pulled beneath the skier's body with a flexed knee and raised heel. The skis are staggered but not quite parallel, and 50% to 60% of the body weight is distributed on the outside ski, depending on snow conditions. The revival in the Telemark technique, after its decline from popularity in the mid-1940s, started in United States in the 1970s. Telemark skiing was a back-to-basics reaction to the high-tech equipment developments of alpine skiing, and the increasing reliance on crowded groomed pistes served by ever larger and faster mechanical ski lifts. The use of traditional clothing is associated with the Telemark skiing revival. Sarah will be the only woman on an otherwise all male team, and you can keep up with how the team do next season on the British Telemark Team website. On a beautiful sunny Sunday morning on May 10th some of the ladies and their daughters from Theydon Bois took part in the Harlow Race for Life. The race started at 11am & by 12.30pm we had all completed the course & were collecting our well earned medals. As far as I'm aware, there were over 20 runners and walkers from Theydon. The course was 5km long and took us through Harlow Town Park and the surrounding roads. The first ones to finish from Theydon were Francesca Bradford and Eleanor Gooch closely followed by Brigette Bradford, Kate Penegar, Karen Collins and Lynn Gooch. Even though the weather was glorious and there was a brilliant atmosphere and camaraderie between the racers, we were all taking part for the same reason - to raise money for Cancer Research. Many proudly wore the names of people whose lives had been touched by cancer and it was poignant and moving to see thousands of these names pinned up on a wall at the finish line. The Theydon team are pleased to say we have currently raised in excess of £1,500 for Cancer Research and the money is still coming in so we expect the final figure to be much higher. Well done to everyone who took part in the Harlow Race for Life and good luck those racing in other events over the Summer. When gardens and lawns become overgrown, most of us find it troublesome. People who are physically unable to do their gardens find it distressing, particularly those who are usually housebound. The aim of the garden service is to provide volunteers to maintain the gardens of people who cannot manage unaided and who have no other family support. The Mow & Grow Gardening Service enables elderly and disabled people to go on living independently in the Epping Forest community. Mow & Grow provides a practical service for those who need it and, in addition, both clients and volunteers who benefit from the social contact with a local person. Mow & Grow volunteers can be of all ages from all different sectors of the community. 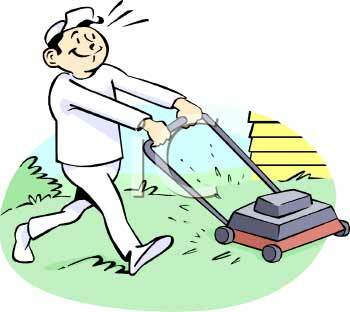 You do not need to have any specialist gardening skills as most of the work involves mowing, trimming and pruning ensuring a tidy garden is maintained. All tools are provided. Volunteers are always accompanied by a Mow & Grow gardener who are happy to provide the necessary training and guidance in the use of the equipment and manual tools. We operate on Tuesdays and Thursdays. By volunteering you can really make a difference. 19th May 2009 All Change at the Shops: The "Noddle" toy business and its neighbour "Theydon Security" ceased trading and vacated their premises in the Forest Drive retail area. 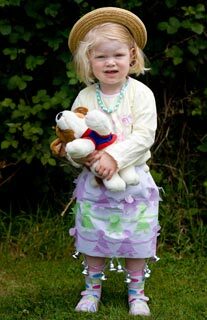 Noddle had specialised in upmarket and educational toys for young children and Theydon Security was well known in Theydon Bois through its installation of the Village CCTV Systems, which had helped to reduce local crime. The premises is now in the process of re-opening as a General Stores to be called Theydon Stores. They will be selling a wide range of household and other goods. On 3rd April Andy Valentine, opened the door to Esquires Barbers shop in Forest Drive. Andy, who hails from Waltham Abbey, started his trade as a hairdresser at the age of 16 and now has some 17 years experience in the business. Esquires is a traditional barbers offering traditional and modern haircuts to all ages and specialises on boys cuts. There are special Senior Citizen rates on Monday to Wednesday and a late night on Tuesday until 8pm with opening to 7pm every other night. Brothers Amit (28) & Chirag (23) Khetiya have opened Forest Wines in Forest Drive, in the former premises of the Wine Rack. Both Amit and Chirag are well known to Theydon Shoppers as they helped their parents, Pravin and Champa in the Bookshop in Theydon for 13 years or so until their parents retired in 2005. Opening a wine shop in the village was a family idea and the brothers are keen on developing the business to ensure that the shop stocks wines that are different from “bog standard” supermarket fare. They will be pleased to order any special wines that villagers prefer as well as offering a free glass hire service to customers. A Forest Wines website is under development which will have details of the regular wine-tastings that the brothers intend to run at the shop. In addition the wines they offer a special range of chocolates and Cuban cigars for that special gift or occasion. The former Spa Grocery shop at 13 Forest Drive has now closed and the site has had a planning application (EPF/0261/09) granted for a conversion from A1 (shop) to A3 (restaurant) use. The Theydon Bois Nursery horticultural centre in Loughton Lane, which had been closed for some time has reopened.. The owners are still Andy Goodwin and Paul Lewis who also have a horticultural wholesale business in the area. They intend to be open from 9am - 6pm, 6 days a week (closed Mondays) and stock a very wide range of plants that should be of interest to all the keen gardeners in Theydon. They also have a new range of garden furniture. All this has made our shops & services pages seriously out of date so we hope to redesign them with all the new information soon. The Village Association and Parish Council have worked together and tried various schemes over a period to time since the new village hall was built to accommodate local youngsters by allowing them use of the village hall car park. SKATEBOARDING, CYCLING, FOOTBALL AND ANY OTHER ACTIVITIES WILL NO LONGER BE TOLERATED IN THE VILLAGE HALL CAR PARK. This has been done in consultation with the Police and they have indicated they will help to enforce the above. Parents, please do not send your children to play there, it is private property and is only for use as a car park for hall users. The VA & Parish Council would appreciate your co-operation in this matter. 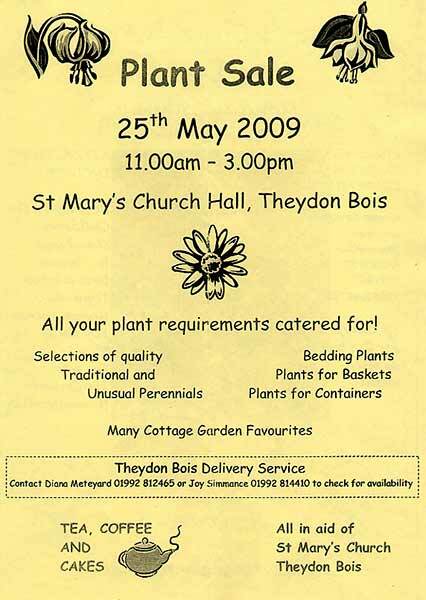 Saturday 25th July 2009: By now every household in Theydon Bois will have received our bright green schedule for the Horticultural Show on Saturday 25th July. Please, don’t just file this booklet....have a look inside and see if you can find a class to enter for our 100th Show. The day is not only about flowers, fruit and vegetables but there are sections for cookery, photography and handicraft, as well as something for the younger members of the family. The children's section has been composed with help from different groups in the village, as well as the village school, to include a variety of skills and crafts the children have covered over the last year......is there an article of handicraft already completed and waiting to be entered? Don’t forget the grand scarecrow competition! All societies in the village have been invited to make a scarecrow in the theme of their club. Family entries are welcome too. Information about this competition is on page 3 of the little green book. Village shows are an important part of the community and it would be wonderful if everyone entered something...even if it was only one item. If you haven’t entered before and are not sure what to do please come along to the special ‘how to do it’ talk on June 18th in the village hall, where one of our judges will be giving hints on staging exhibits. Be part of the village, go on, have a go. 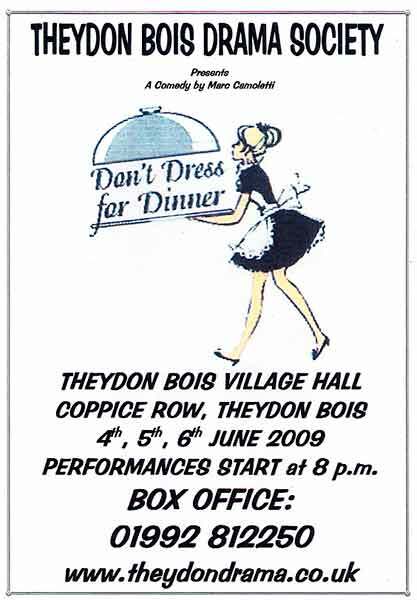 18th May 2009 WI 90th Anniversary: The Theydon Bois Branch of the Women’s institute is having a 90th Anniversary celebration on Wednesday 17th June starting at 2pm in the Village Hall. There will be an exhibition of past events with photographs and they will have a copy of the first minutes taken before the W.I. was officially formed. There will be a raffle to help boost funds. Invited guests are Officials from the Essex Federation of W.I.’s, Eleanor Laing MP (who will be in Westminster on that day), Chairman and Secretary of the Village Association and Sue Jones (Chairman of the Parish Council). There will also be representatives from EFDC, Presidents of local W.I.’s from Buckhurst Hill, Chingford, Loughton and Epping. Past Presidents and members of the Theydon Group (many now in their 90’s) are also expected to attend. Theydon W.I. President Kay Rush will give a short welcome speech and Julie Alen (Chairman of County W.I.) will reply. There will then be a toast to the W.I. and all members to be followed by Martyn Harrison who will be entertaining members and guests with songs reminiscent of the last 90 years. Sandwiches, cakes, and drinks (wine & soft drinks) will be served. Each person present will receive a pen with a T.B.W.I. logo and also a white carnation that can be worn either on a dress or suit. 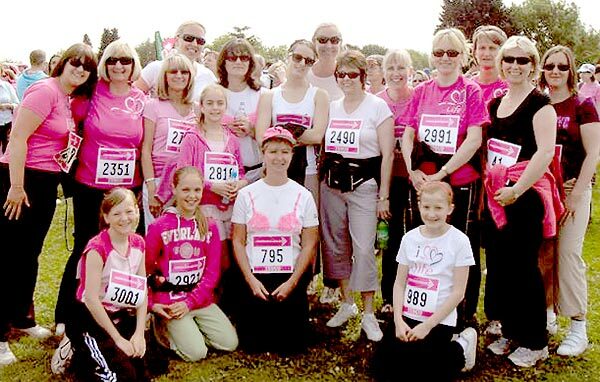 18th May 2009 THEYDON BOIS TENNIS CLUB CLUB RAISE OVER £ 600 FOR BREAST CANCER RESEARCH: Theydon Bois Tennis Club raised £630 for the Breast Cancer Research Unit at St Margaret's Hospital and Princess Alexandra Hospital Harlow which has seen over 3000 patients. The day was attended by over 70 people. Breast cancer surgeon Ashraf Patel said: "it is events like this that make people aware of the importance of clinical trials locally in helping see annually over 350 patients with breast cancer and helping them have access to leading edge clinical trial drugs". Organiser and club captain Nigel Hanley said "it was another tremendously successful day for the club, whose members are very community minded in this our 5th year of running this event". As many of you will by now know, I have been lucky enough to be granted the opportunity to travel to Sri Lanka this summer for 6 weeks with Durham University to coach sport and help set up a Sport's Degree at one of the local Universities, as well as holding informal English lessons with the local village people who have all had their livelihoods affected by the 2004 boxing day tsunami. I would just like to say a very big thank you to the large number of residents in Theydon who have supported me for this worthy cause through donations, sponsoring me for my 5K fun run and bungee jump as well as attending my coffee morning and cheese and wine night. I would also like to thank Theydon Bois Primary School staff and pupils for their very special effort and huge help towards my fundraising with a mini Sri Lanka marathon/Jungle Run, which I think all the children enjoyed! I intend on giving anyone who's interested a full disclosure of exactly what I get up to whilst I'm out there when I get back and I will be taking many pictures and filming as much as possible! Thanks again for all the help, it really is much appreciated!! 17th May 2009 Commuter Car Park Application Appeal : Parkeng Limited has appealed the decision by EFDC to refuse planning permission for a commuter car park off Abridge Road in Theydon Bois. Our Parish Council, Theydon Bois & District Rural Preservation Society and TBAG all objected to the original application to build a car park on this Green Belt Land for a number of reasons including; That it detrimental to our countryside and village. It would exacerbate not improve parking issues in our village by encouraging more commuters, many who ultimately seek to park for free. Parking issues within the village can be better controlled without destroying our countryside. There is no proper access to the site from Abridge Road. There are considerable highway safety concerns. When this application was considered by EFDC's Planning Sub Committee East on Wednesday 11th March. Councillors unanimously voted against the planning application. 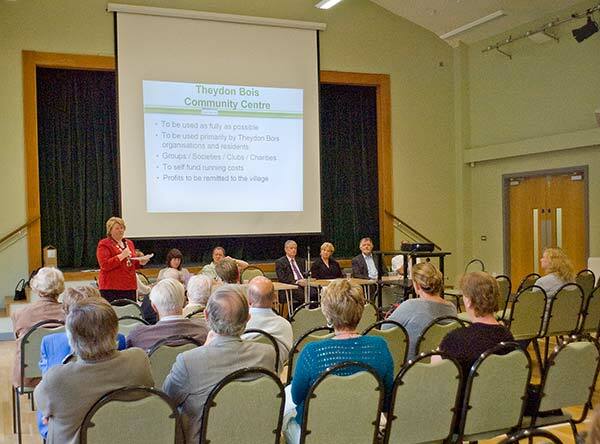 One of the applicants main grounds for appeal is that there is considerable support for the Car Park in Theydon Bois. Details of the appeal are on the EFDC web site here: Appeal Search enter EPF/2439/08 as the Authority Reference then click Search. Quoting reference APP/J1535/A/09/2102000/WF by 28th May latest. You only need enter: 2102000 as the case reference, then search, on this page to get the appeal details. Click on the appeal reference on the next page then on Appeal form and attachments. 5th May 2009 The Parish Council General Business Minutes for the first three months of 2009 are now available and can be viewed here. 5th May 2009 The Theydon Bois & District Rural Preservation Society walk to 'Earthworks - Ancient and Modern' (see below) was considered a great success by the 23 people who attended last Sunday. Villagers, new and old, and people from outside the village, who came for "a pleasant walk in nice countryside" found the walk led and described by Peter Newton most enjoyable. The next walk is on on the 7th June. In the middle of April a yellow submarine was seen on the village green. This was accompanied by a BBC news team and reporter Mike Bushall for an item for Breakfast TV to publicize an entry for the London Marathon which included Andrew Sweet and Ian Elson two of our village postmen. Andrew is 37 from Waltham Abbey and he has a wife and two children aged 7 & 11.He has been a postman in Theydon Bois for 13 years. Ian is 49 from Epping and has a wife and 4 children. He has been a postman in Theydon Bois for 5 years. Andrew and Ian ran for the Children’s Trust which provides care for children with multiple disabilities. As well as a 15 foot wooden submarine they carried a music player playing tracks from the Beatles Yellow Submarine album. They ran with Lloyd Scott (better know as the deep sea diver marathon man), GM TV’s Praia Kauri-Jones and two city bankers. 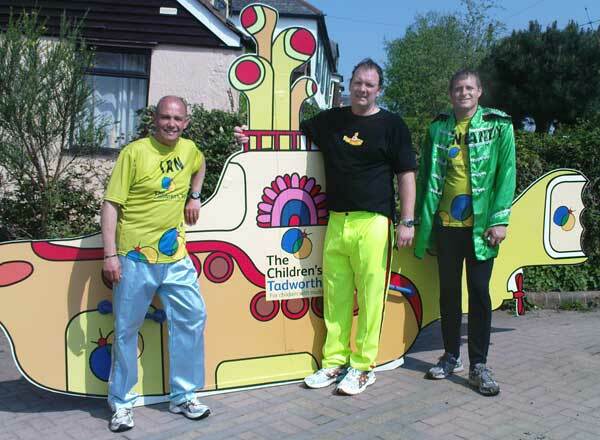 They were all dressed in Beatles suits and finished the course in 7 hours 56 minutes after stopping at all the pubs on the way collecting donations. Andrew and Ian collected over £4000 for the charity and have asked the Village Web Site to thank everyone in the village that sponsored them with a special mention to Christine and her daughter in Woburn Avenue for all their help in fund raising. 2nd May 2009 Fine Weather for a Walk: With the particularly fine weather we have had recently scheduled to last for most of the summer why not take the opportunity to get a little easy exercise and explore some of the less well known parts of our village. Theydon Bois and District Preservation Society continues it's 2009 season of guided walks on the local footpaths tomorrow (Sunday 3rd May) with a walk titled 'Earthworks - Ancient and Modern'. It's free and starts at 2pm from the Village Hall. 2nd May 2009 M25 Road Widening Exhibition: The Highways Agency is holding a public exhibition to advise local residents and road users about the forthcoming widening works which are scheduled to start on the M25 motorway between Junctions 27 and 30 in July 2009. The scheme is subject to award of the M25 DBFO contract, and is part of a larger project to widen some sections of the M25. To view the plans and find out more about the work come along to the public exhibition at the Bell Hotel (former Quality Hotel), High Rd., Bell Common on 8th May 2.00 - 9.00pm & 9th May 10.00am - 4.00pm. 2nd May 2009 Future Diary Dates: Open Gardens Day will be on Sunday 28th June this year. Be sure you make a note not to miss this event! More details soon. Theydon Bois Donkey Derby is on Sunday 12th July. Another unmissable event! Dates - Thurs 4th - Sat 6th June 2009. Show - 'Don't Dress for Dinner' - a comedy by Marc Camolletti. At the Village Hall. Performances start at 8.00 pm, £6.50 a ticket. 12th April 2009 update :St Clare Hospice Midnight Walk - Saturday 20th June 2009. Now open for entries! Join the Theydon Bois Ladies! 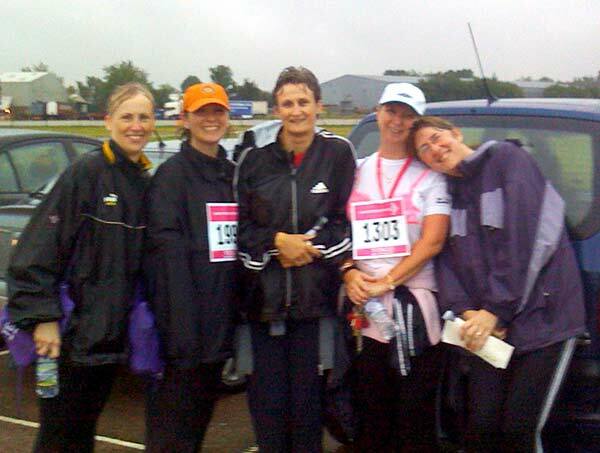 Sue Sowerby, Jacq Dodman, Liz Emmett and Jenny Berry are once again looking for entries for the St Clare Midnight Walk 2009. Last year was extremely successful; over 1,300 people registered to take part and the charity raised a magnificent £106,000! But we want the 2009 Midnight Walk to be even bigger and better. To do this we need you, your friends, your family and your work colleagues to support the Hospice and sign up for this year’s event. St Clare Hospice is a local charity serving the needs of people in the West Essex and East Herts. This is the Hospice which supports Theydon Bois and the surrounding areas and they do amazing work – mainly through donations and volunteering. In the last three years, the Hospice has helped 141 people in Theydon Bois through either equipment loan, Day Therapy, In Patient Unit or bereavement counselling/family support. The 10k (approx 6.2 mile) walk will start and finish outside Asda at the Water Gardens, Harlow, and follow a route along the cycle paths and streets of Harlow. Sign-in will start from 8.30pm with the Walk starting at 10.30pm. 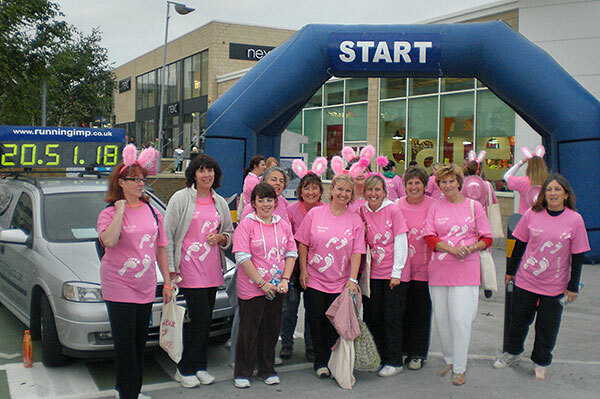 Theydon Ladies at the start of last years walk. Friday 12th June, so the sooner you sign up, the better! Sue, Jacq and Liz have Sign Up forms available. 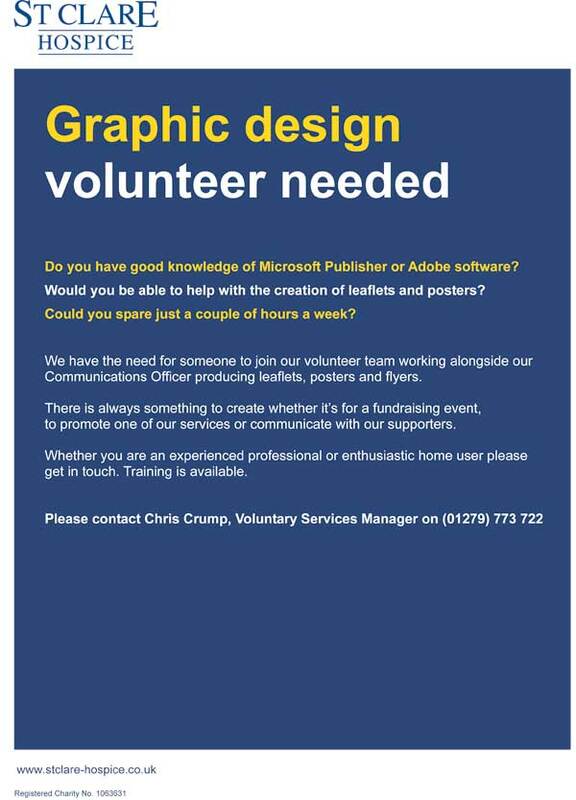 Just call 01992 815846 or 813304 or 814951 and we’ll arrange to get a form to you. You can also register online at www.stclare-hospice.co.uk/midnightwalk or you can download, print, complete and return the application form from the site. The team at St Clare has listened to your feedback and it is now possible to register more than one person at a time. Each online and paper application form allows you to register a maximum of four people. It is very important that you have the full name, address, date of birth and t-shirt size of each person you are registering, otherwise your application could be delayed. If you have any questions about the Walk, please visit the above web address and read the Frequently Asked Questions. Alternatively you can email the Midnight Walk team at midnight@stclare-hospice.co.uk or phone the 24 Hour hotline on (01279) 773 759. In the meantime – Go for it! 1st April 2009: Parish Council Vacancy: Theydon Bois Parish Council currently has a position available for a Responsible Financial Officer (RFO). This is an interesting role where you will be responsible for the financial records of the Parish Council and the careful management of its finances. Working closely with the Chairpersons of the Council and Finance Committee, you will monitor and balance the Council’s accounts and prepare records for audit purposes and VAT returns. Closing date: Friday 17th April 2009. Interview date: w/c 27th April 2009. 1st April 2009:Parish Council Annual Report: Parish Council Chairman, Sue Jones's report to the Annual Parish Council Meeting on Thursday 26th March 2009 is now available here. The last date for receiving voter registration forms to take effect for the elections on 4 June is 5pm on 19 May 2009 but don’t leave it until the last minute, check you are on the register now. Poll cards will be delivered to your property nearer the time giving details of your polling station. If your name is not on the card, you are not on the register and cannot vote from your address. If you think you might be unable to vote in person on polling day and you have not already registered for a postal or proxy vote, please contact Electoral Services on 564411 for details about how to apply. If you have moved or changed your name since applying for a postal vote, it will now be invalid so you will need to compete a new application. The closing date for completed postal applications is 5pm on 19 May and for proxy applications 5pm on 27 May. Saturday 9th May 10am to 5pm. These apparently go through to the relevant team of PCOs and Police Officers for our area. 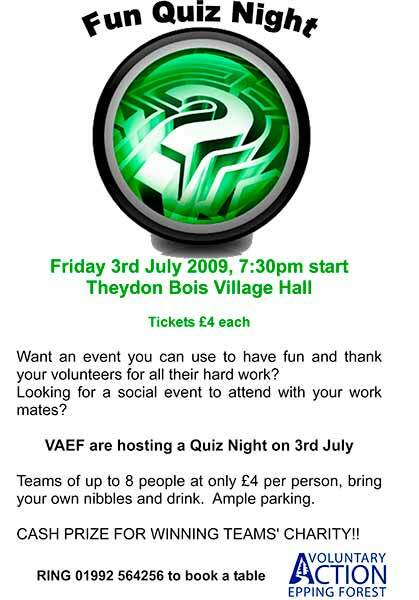 10th March 2009:Theydon Youth: has been open since the 20th January. It is open every Tuesday from 7pm till 9pm. We now have 30 members made up of children from the village ages 11 to 15, the children have their own 'Youth Committee', who are involved in all the decisions made regarding the club. We have had a lot of support from the Parish Council who very kindly gave us a start up grant of £1000 and asked Councillor Peter Hammond to join the Theydon Youth Committee as a liaison between the two. The grant has been used for the clubs insurance and stocking the Tuck Shop and will also pay for the volunteer helpers to attend a first aid course. We have volunteers that either offer their time to join the rota as a helper on Tuesday evenings or as part of the committee. 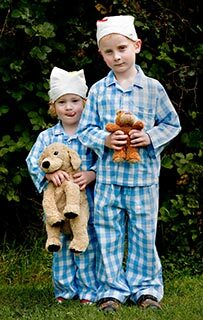 Enhanced CRB checks are carried out on all helpers, we have are also booked to have Child Protection training in March. The children are enjoying the chance to have somewhere to go and be with their friends and can play pool, table-tennis, Playstation or just watch the TV, we even have a graffitti area. Pancake races are planned for Shrove Tuesday and in March we have a skate-boarding outing planned. If you are interested in becoming a helper or part of the committee then please e-mail theydonyouth@hotmail.com. PLease contact us if you would like further information or membership forms for your children. 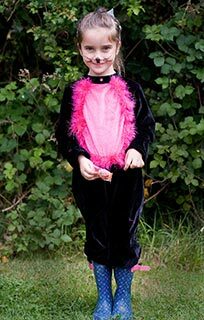 We thought it'd be brilliant if we could try to make it a "village wide" fundraiser this year & want to encourage as many women and daughters as possible from Theydon to take part. Even though we walked/ran through torrential rain and strong winds last year, the atmosphere was amazing & the team spirit second to none. If you took part you'll know what we mean - if you didn't, it is an incredible event and one that you'll not forget!! So we'd love you to join us or sponsor us, whatever your reason - in memory or celebration of the life of someone who's suffered from cancer, or just to be part of this fantastic event. If you will, then please log on to www.raceforlife.org. to register and please, please email this onto and tell as many Theydon ladies/girls as possible & encourage them to join in too. Our Theydon Bois fundraising page is: www.raceforlifesponsorme.org/theydonbois which you're welcome to use as your own or you can set one up of your own & if you do join, would you mind letting us know so we see how many Theydoners take part. 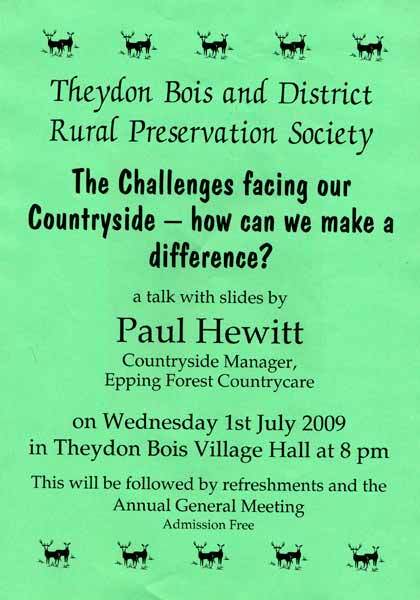 1st March 2009: The Epping Forest Group of the Alpine Garden Society: meets in the Village Hall, Theydon Bois. The Society is for all those interested in alpine plants, whether in the wild or growing at home. June 24th ‘My Life in the BBC’ Speaker: Brian Curtois.